Here is the link to download the documents for the 2016 Natrona County Convention. The file is in ZIP format. After downloading, double click it to open and you can then drag and drop the contents to your Desktop or any folder you want. If you live in Precinct 2-6 and would like to have a newsletter about what’s happening in the Natrona GOP, send me an email. If enough people are interested, I will start a newsletter that you can subscribe to. Caucus Time: 6 – 9 P.M.
Convention Time: 12 – 4 P.M.
March 1, 2016, Tuesday, Natrona County Republican Party (NCRP) Precinct Caucus (time and place to be determined). March 12, 2016, Saturday, NCRP County Convention (time and place to be determined). April 14 – 16, 2016, Thursday – Saturday, Wyoming State Convention in Casper (time and place to be determined). If you have any recommendations for the NCRP platform and resolutions please send them to me and I will introduce them for you. You can contact me here. Remember, all registered republicans are welcome to attend the Precinct Caucus and County Convention and may introduce your recommendations. 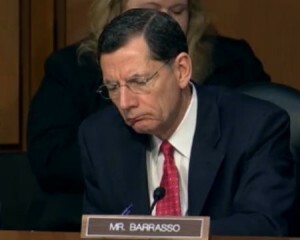 “Wyoming’s Senator John Barrasso is one of 18 Republicans who shamefully joined with the most liberal democrats in the US Senate to increase spending and suspend the debt ceiling last Friday in HR1314: Bipartisan Budget Act of 2015.